Today’s best way to practice jazz! Accurate, easy-to-read lead sheets and professional, customizable audio tracks accessed online for 10 songs. The interactive, online audio interface includes: tempo control; looping; buttons to turn each instrument on or off; lead sheet with follow-along marker; and melody performed by a saxophone or trumpet on the “head in” and “head out.” The full stereo tracks can also be downloaded and played off-line. Separate lead sheets are included for C, B-flat, E-flat and Bass Clef instruments. 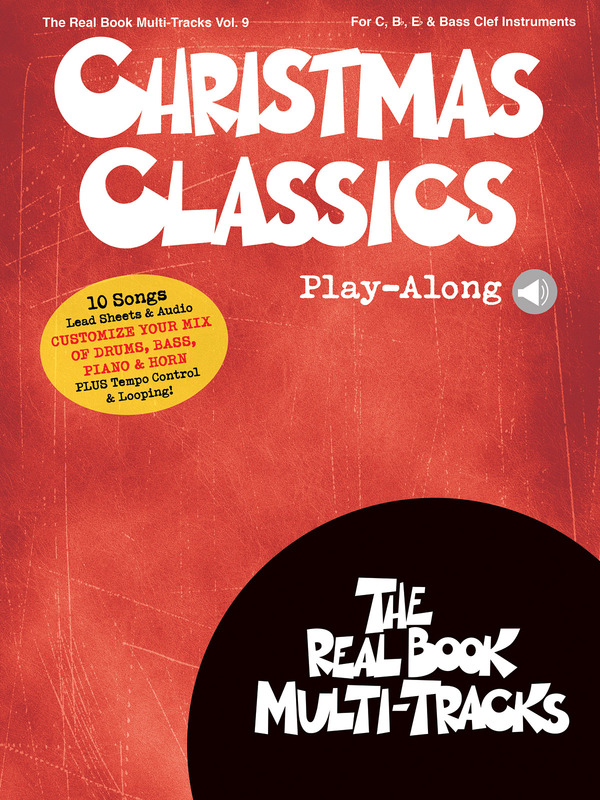 This volume includes 10 songs: Blue Christmas • Christmas Time Is Here • Frosty the Snow Man • Have Yourself a Merry Little Christmas • I’ll Be Home for Christmas • My Favorite Things • Santa Claus Is Comin’ to Town • Silver Bells • White Christmas • Winter Wonderland.